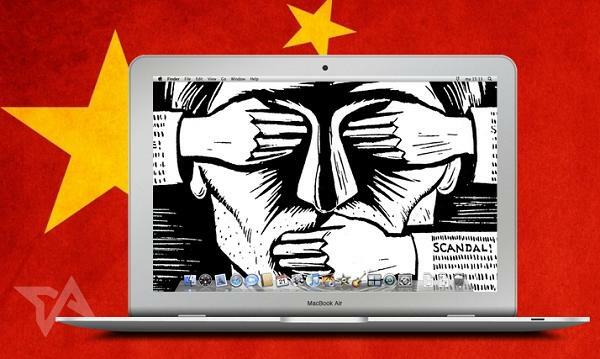 The Great Firewall of China grabs the headlines again – and as always, not for the best of reasons. New reports have confirmed that thousands of websites suddenly vanished from China’s cyberspace earlier this week after the government ramped up its online censorship program by banning EdgeCast, one of the largest Content Distribution Networks (CDNs) across the World Wide Web. Incidentally, the move has come at a time when the country, home to a quarter of the world’s internet users, is hosting a major internet industry conference in the Wuzhen city. 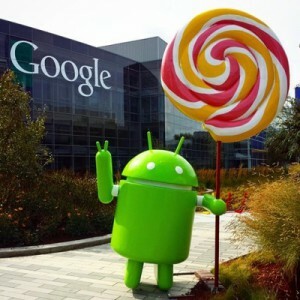 Google has everybody dazzled by innovative new features of the Android Lollipop update with everybody eagerly waiting. Among other features, the Android 5.0‘s smart lock has made recent waves with its location based automatic unlocking feature. You can now define places in your phone which you consider safe from potential thieves, which will hide the default lock screen. Being in locations like your home, workplace or your grandma’s house will set your phone to automatically bypass the lock screen, taking you directly to wherever you wish to go, without having to enter a password, pattern or show your face. You can add multiple locations, making life easier. This new feature comes as an update to the Google Play Services, spreading to Android Lollipop devices now. 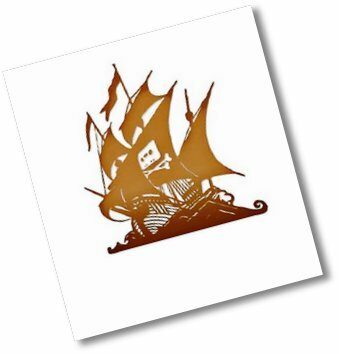 The Pirate Bay – the worlds best known file sharing site has had four of its owners jailed for a year each today. A Swedish court jailed the four men, Frederik Neij, Gottfrid Svartholm Warg, Carl Lundstrom and Peter Sunde in a landmark case after they were found guilty of breaking copyright law. The Pirate Bay is the world’s most high profile file-sharing website and was set up in 2003 by anti copyright organisation Piratbyran. However it has been run by individuals for the last few years. Every day millions of files including movies and tv streams are downloaded from the site. However no copyrighted material is hosted on The Pirate Bay servers. The site instead hosts ‘torrent’ links to TV shows, movies and music files held on the users computers that are ‘shared’ around. The four were also ordered to pay $4.5m (Â£3m) in damages. Naturally music and movie companies welcomed the verdict but the men are now set to launch an immediate appeal and are refusing to pay the fine. Peter Sunde, speaking at an online press conference described the verdict as “bizarre”. “It’s serious to actually be found guilty and get jail time. It’s really serious. And that’s a bit weird,” Sunde commented. “It is so bizarre that we were convicted at all and it’s even more bizarre that we were convicted as a team. The court said we were organised. I can’t get Gottfrid out of bed in the morning. If you’re going to convict us, convict us of disorganised crime. The damages have been awarded to a number of entertainment companies, including Warner Bros, Sony Music Entertainment, EMI, and Columbia Pictures but fell short of the $17.5m in damages and interest the companies wanted. Speaking to the BBC, the chairman of industry body the International Federation of the Phonographic Industry (IFPI) John Kennedy said the verdict sent out a clear message. “These guys weren’t making a principled stand, they were out to line their own pockets. There was nothing meritorious about their behaviour, it was reprehensible. “The Pirate Bay did immense harm and the damages awarded doesn’t even get close to compensation, but we never claimed it did. “There has been a perception that piracy is OK and that the music industry should just have to accept it. This verdict will change that,” he said. The four men denied the charges throughout the trial, saying that because they did not actually host any files, they were not doing anything wrong. Speaking on Swedish Radio, assistant judge Klarius explained how the court reached its findings. “The court first tried whether there was any question of breach of copyright by the file-sharing application and that has been proved, that the offence was committed. “The court then moved on to look at those who acted as a team to operate the Pirate Bay file-sharing service, and the court found that they knew that material which was protected by copyright but continued to operate the service,” he said. A lawyer for Carl Lundstrom, Per Samuelson, told journalists he was shocked by the guilty verdict and the severity of the sentence. Rickard Falkvinge, leader of The Pirate Party, which is trying to reform laws around copyright and patents in the digital age – told the BBC that the verdict was “a gross injustice”. “This wasn’t a criminal trial, it was a political trial. It is just gross beyond description that you can jail four people for providing infrastructure. “There is a lot of anger in Sweden right now. File sharing is an institution here and while I cannot encourage people to break copyright law, I’m not following it and I don’t agree with it. So down, but not out. The website itself is still running but may not be for much longer. The media companies are however just plugging a small leak from a torrent of file sharing that cannot be stopped. The sooner they change policy and go with the tide of change the better for us all. If your a UK radio listener as well as a TV watcher then you could soon have instant online access to every radio station in the UK from a BBC online streaming service. The BBC are planning to launch an online radio player available to every radio broadcaster by the end of the year. Using an application similar to the iPlayer users can search and listen to radio stations like the BBC’s catch up TV service but for radio. The plan in the longer term would be to use it like a TV recorder is used now. Being able to live pause, put it on hard drive, listen to recordings from the past seven days and pre book radio also. The preliminary proposals, which would need approval from the BBC Trust, would align the radio sector with the television industry, which already offers catch-up TV and the ability to pre-record programmes from both commercial and BBC channels. They are also part of a BBC effort to prove that it can help out its cash strapped rivals by sharing its technology and software and work on a common standard. Such proposals – which include plans to work with rival ITV on regional news, are all part of the corporation’s policy of promoting partnerships which it hopes will deflect from recent calls for its £3.5bn annual licence fee to be frozen or cut. BBC director general Mark Thompson, indicated that the BBC’s commercial rivals needed help given the dire economic conditions of much of the ad-supported industry: “Is the BBC going to stand by or take tangible, measurable steps to partner, support and share some of its advantages to other media players?” he said. The BBC move to partner old rivals is understood to have received tacit backing from the government. Communications minister Stephen Carter is keen to promote digital radio, which has failed to make a viable return for most commercial operators. Andrew Harrison, the chief executive of Radio Centre, the trade body which acts for more than 90% of all radio stations, has been involved in early meetings with the BBC and welcomes the development. He also downplayed competition concerns, saying that the plan was for a standard that would not be closed to small players, unlike the Kangaroo project recently rejected by competition authorities. “The concept for this is entirely open access and will showcase all UK radio,” he commented. You can listen to all existing BBC radio streams using the iPlayer but this new service will collect all radio stations from around the Country iinto one place. Or you could just browse our worldwide radio streams online while your waiting for the BBC to sort out the detail. Happy christmas to all world tv users. To celebrate an ever improving year for internet TV, i thought we would watch some christmas themed carols courtesy of Youtube. The year has seen many great improvements with internet tv, catch up tv and online videos. The choice is much bigger. The quality much better and the outlook is very bright. And finally, an unusual christmas carol sung by dogs!! In light of the current ‘economic meltdown’, now is a good time to look at money, how it works and the banking system. Did you know that banks loan out money they dont even have? The reason prices go up (inflation) is because of this fraudulent banking system. Years ago there was a lot of resentment for banks and money lenders even by many presidents of the USA. In recent years the criticism has died down. Why? Because the banks own all the media outlets, in fact some say they own and control the governments of the world too. Thomas Jefferson and Andrew Jackson understood this ‘Monster’ but to most of us today the Federal Reserve is just a name on the dollar bill. They have no idea of what the central bank does to the economy, or to their own economic lives; of how and why it was founded and operates; or of the sound money and banking that could end the statism, inflation, and business cycles that the Fed generates. Alan Greenspan is not, we’re told, happy about this 42-minute blockbuster. Watch it, and you’ll understand why. This is economics and history as they are meant to be: fascinating, informative, and motivating. This movie could change America. but when the Federal Reserve writes a check there is no bank deposit on which that check is drawn. whom it properly belongs.”–Thomas Jefferson, U.S. President. For a more intensive look at how banks run the world and its history watch this video. worldtvpc free tv for all.